Despite your best efforts, you will occasionally have to confront a dissatisfied customer. When it happens, think big. Sure, you want to make sure this customer returns happily to your store. But, handle your customer’s complaint correctly, and they may tell others (who shop elsewhere) about their positive customer complaint story, bringing them into your store also. 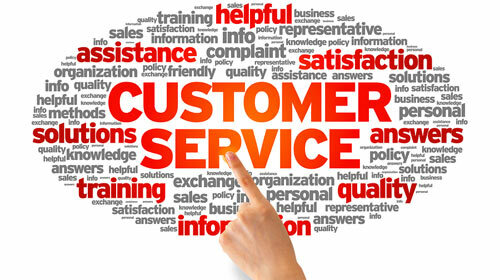 More often than not your customer complaints are over items or issues that involve a relatively small amount of money. Keep that in mind, and follow these eight steps when handling a disgruntled customer. Thank your customer for coming back to your store and giving you the opportunity to resolve their problem. Make sure they know that their situation is a learning opportunity for you. This is the easy step. Listen. If you don’t get the facts right, you won’t handle the customer properly. A back-and-forth attempt to clarify facts just muddles the whole interaction. Don’t look around the store or act impatient. Carefully insert a couple of “I understand”s into your conversation. Make sure your customer knows that you’re sincerely anxious to address their dilemma. Still working toward clarification, ask questions. “How were you using the products?” “What had you hoped for that you didn’t get?” Their answers will give you both information—and time—so you can solve their problem. These questions also help to soothe the customer. As they think about answers to your questions, their anger will probably begin to subside. Take notes. This simple step will assure your customer that you genuinely want to help them solve their problem. Ask the customer what they think would be a fair solution. Oddly enough, if you’ve followed these steps and stopped the situation at this point, you would likely be willing to give more than the customer is going to ask you to do. By now, hopefully, your customer is still your customer. And to keep it that way, do whatever you’re going to do happily, with not a hint of compromise in your voice. Tell your customer again, how much you appreciate their allowing you the opportunity to correct the situation. Then, quickly and with a smile, take care of the situation. The last step is truly the "above and beyond" that is practiced by the few who are the exceptional. Remember the notes you were taking in one of the earlier steps? Hopefully, you got the customer's name, email and/or phone number, and now you have the necessary information to follow up with a call, email or text message. Check in to ask the customer if they are satisfied with the resolution, and again thank them for their business. If you’re the store manager . . . Think hard about whom you’d like to give the authority to handle complaints. A customer who has to tell their story three times as the staff keeps handing them off is sure to further irritate an already irritated person. Teaching your staff members how to handle complaints and empowering them to do so not only helps keep a positive atmosphere in the store plus you can know that if any unhappy customers come in, they will leave with their problem addressed.